We are always looking for people to be involved in our committee work, fundraising activities, website maintenance, education, public relations and marketing. BOS is only as strong as the people who support it, so we are always keen to welcome new ideas and new energy. If you think you can help us in any of the opportunities below or you have available skills in other areas please contact us today. 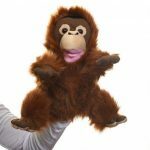 Are you wild about orangutans? Are you an enthusiastic Adwords ninja who is interested in volunteering a little time each week as part of an international foundation raising awareness and funds for the critically endangered orangutan? We want to hear from you! We are looking for a virtual volunteer who knows their way around Adwords and can help keep our grant account running. You will help raise awareness for our work in Australia and raise valuable support for our rescue and rehabilitation programs in Borneo. This role commitment would require about an hour a week to maintain and review campaigns, with a monthly report on campaigns. You will report to the Fundraising Manager and liaise with her to run Adwords campaigns for specific fundraising appeals. You can be located anywhere in Australia. Please send your application and CV to fundraising@orangutans.com.au, using the subject line: Google Adwords Volunteer. We can’t wait to meet you! 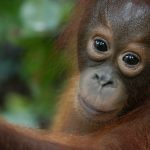 We have lots of people offering their time and skills in helping to make our Borneo projects successful and therefore have set up an interview process to assess everyone who offers help. We prefer fully qualified vets who can offer a minimum of 3 months to work alongside our projects in the field. If you can meet these requirements, then please email us and we can pass on your information to our contacts in the field. 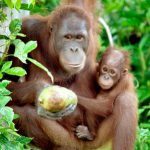 Do you want to help orangutans in Borneo? Don’t mind getting sweaty during the day and enjoying a cold beer or a glass of wine at night while watching a Bornean sunset? 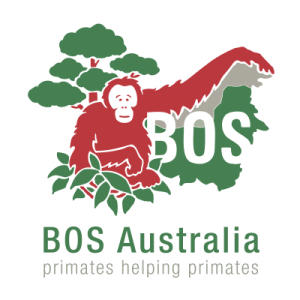 BOS Australia offers trips each year for volunteers to participate in our enrichment and welfare program. Participants spend two weeks at Samboja Lestari with a BOS Australia representative and the local technicians working on the enrichment program for the almost 300 orangutans held in the sanctuary. The sanctuary also houses over 50 sunbears. Samboja Lestari hosts its own eco-lodge, where visitors are given a taste of the local food and you are also given the chance to visit some amazing local sights. Nothing like seeing a Proboscis Monkey at twilight. Read about this amazing opportunity from one of our volunteer’s perspectives, and check out the details of our most recent trips.